Apple on Thursday announced it will invest in a project that aims to protect and restore mangrove trees in a 27,000-acre forest in Colombia, part of the company's initiative to achieve carbon neutrality. 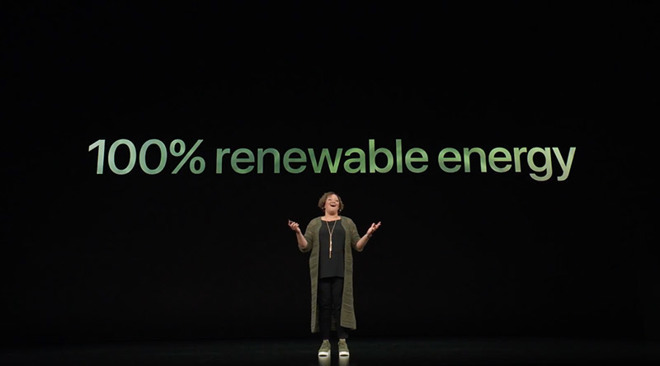 Apple VP of environment, policy, and social initiatives Lisa Jackson revealed plans to invest in the program at the Global Climate Action Summit in San Francisco, reports Fast Company. Jackson did not specify how much money Apple is putting toward the project, which is being conducted in partnership with Conservation International. According to he nonprofit's CEO, M. Sanjayan, mangrove trees are among the best "carbon sponges" in the world, as they not only store carbon dioxide in their leaves and branches, but also sequester the gas into surrounding soil and sediment through vast underwater root systems. By replanting trees in degraded areas, and preserving them in others, the initiative is estimated to remove about one million metric tons of carbon dioxide from the air over its lifetime, the report said. How long the project is expected to run was left unreported, but it is projected to claim around 17,000 metric tons of CO2 in its first year alone. As noted by Fast Company, that figure is roughly equivalent to emissions Apple Maps vans are expected to output over the next decade. "These forests are critical because they're one of nature's most important tools in the battle against climate change-they can absorb and store up to ten times more carbon than a terrestrial forest," Jackson said. Carbon International is now able to determine the amount of "blue carbon," or carbon stored in coastal ecosystems, a particular environment can handle, meaning the project will be the first to calculate the CO2 sequestering potential of Colombia's mangroves. Apple's environmental pursuits have led the company to invest in other forestry projects. In 2015, Apple bought 36,000 acres of forest in Maine and North Carolina to sustainably harvest materials for paper packaging. It committed to protecting one million acres of forest in China that same year. The forestry projects are part of a larger effort to reduce Apple's impact on the environment. As a result of that wider initiative, which includes contingencies to offset the company's carbon footprint, Apple in April announced its global operation runs entirely on renewable energy sources.